Brooke Alpert, M.S., R.D., C.D.N., is a nationally recognized nutrition expert and author. She is the founder of B Nutritious, www.b-nutritious.com, and works with a variety of clients to meet their nutritional goals while working within their lifestyle. With a focus on meeting the demands of a busy schedule, Brooke teaches clients how to eat within their needs without feeling deprived. An individualized and customized approach is taken with each client to create an eating lifestyle that is tailored to his or her specific needs. 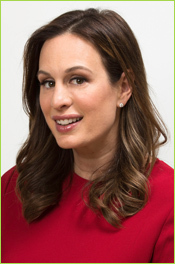 Brooke’s expertise and nutrition knowledge has lead her to be featured on national television regularly including, The Doctor Oz Show, The Today Show, Access Hollywood and more. She was named one of the new up and coming stars in the beauty and health field in W Magazine and has been quoted and featured extensively in both national and international magazines including People, Shape, Glamour, Town & Country, Tatler and more. Brooke is also a nutrition consultant and her clients range from an international hotel chain, beauty companies including Nivea, private schools, national chain gyms, corporate accounts and renowned weight loss programs. Brooke received her Masters of Science at New York University and completed her training at Mt. Sinai Hospital in affiliation with NYU. 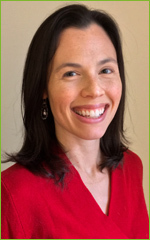 She is a member of the Academy of Nutrition and Dietetics, the Greater New York Dietetic Association, Weight Management Group, Women’s Health Group, Integrative and Function Medicine Group as well as the Sports, Cardiovascular and Wellness Nutrition Group. Brooke’s second book, The Sugar Detox: Lose Weight, Feel Great and Look Years Younger (Da Capo) came out in June 2013. Her first book,Healthy Eating During Pregnancy (Kyle Books) was out in 2011. Brooke, a former equestrian is also a tri-athlete. She resides in New York City with her husband and their two daughters. Claire Shorenstein, M.S. R.D. C.D.N. is a New York State Certified Dietitian-Nutritionist as well as a Road Runners Club of America certified coach. As an avid runner since high school, Claire has competed in numerous team and solo running events over the past 20 years from the 5km to 50-mile distance. She combines this personal running experience with her nutrition and coaching expertise to help athletes achieve their performance goals. She also counsels non-athletes on weight loss, chronic disease prevention and management, and general healthy eating. Claire has contributed her nutrition and coaching advice to a variety of media outlets and publications, including Thrillist.com,UnderArmour.com, Livestrong.com, Competitor.com, Salon.com, Runner’s World, RunnersWorld.com, NY1 News, Max Sports and Fitness, and Real Women Run. Claire attended Yale University as an undergraduate and received her Masters of Science at New York University. She completed her clinical training at Montefiore Medical Center, where she continues to work as an inpatient clinical dietitian. Claire is a member of the Academy of Nutrition and Dietetics, the Greater New York Dietetic Association, the Sports, Cardiovascular and Wellness Nutrition Group, and the Road Runners Club of America. In her spare time, Claire can often be found running in NYC or on local trails with her husband and writing about her experiences in her personal blog, The Fight and Flight Response.